Get an estimate of how much home you can afford using our Mortgage Calculator—but don’t rush out and start home shopping yet! You’ll want an official letter of preapproval when you start talking to sellers. Having a letter of preapproval on hand means you can confidently make an offer right on the spot when you find the home of your dreams. Securing your funding ahead of time also lands you several steps forward in the mortgage process, so your move in day is that much closer. Low rates, low fees, and a one-on-one mortgage experience are just a few of the reasons people love working with us to buy their home. We’ve streamlined the home buying process to simple steps, and put your needs at the heart of everything we do. Our mortgage experts have experience that others in the industry simply can’t match. Decades of experience working with people from all walks of life, taking the time to understand your needs and match you to a home loan that’s as unique as you are. We’re proud of that rating because of what it represents: more than 30 years of responsible lending and care for our clients. Behind those stars are our people. Our home loan experts are more experienced on average than others—and, more importantly, they’ll keep you informed of the changes in the financial marketplace that might benefit you and give you options. Source: Previous home borrowers surveyed since 2017. Want to know more? We're happy to help. Meet with a home loan expert to get all your questions answered. The type of home loan you’ll get can depend on many factors, like location, military service, or primary usage. You originator will show you the smartest loan for your needs, but feel free to review a few of the options we provide. Popular with first time home buyers, FHA loans allow for low down payments for qualified borrowers. Federal Housing Administration (FHA) loans are insured by the federal government. They can be used to purchase or refinance a new or existing 1- to 4-unit home, condominium, or a manufactured or mobile home (provided it is on a permanent foundation). Available as a 15-year or 30-year mortgage, fixed-rate mortgages allow for predictability in your monthly housing costs. Fixed-rate mortgages are the most common mortgage for first time homebuyers because they're stable. Typically the monthly mortgage payment remains the same for the entire term of the loan, allowing for predictability in your monthly housing costs. Certified Military Home Specialists know the ins and out of the VA loan program and provide exceptional service to those who serve our country. Our Certified Military Housing Specialists are well versed in military language, rank, and pay system to help you get into the affordable home you want—or to refinance your current home. VA loans are backed by the U.S. government, so there’s no down payment, no private mortgage insurance requirement, and the overall requirements for qualifying are more flexible. If you’re purchasing a high-value property with large monthly payments, a Jumbo loan is a good financing solution. A Jumbo loan is a non-conforming loan, which means the size of the loan—at least $453,100—is larger than standard Fannie Mae and Freddie Mac guidelines. 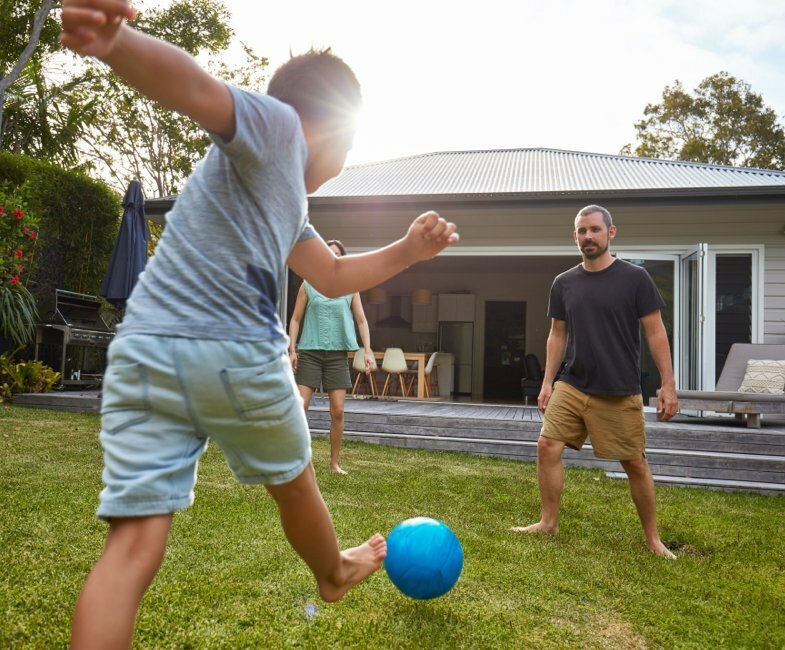 Jumbo loans come in a variety of fixed-rate and adjustable-rate options, and your home loan experts can help you make the best selection. An adjustable rate mortgage, or ARM, is often ideal for borrowers with stable, increasing income potential and for short-term purchases. An ARM is a mortgage with an interest rate that is linked to an economic index. The interest rate, and your payments, are periodically adjusted up or down as the index changes. This differs from a fixed-rate loan where you "lock in" to a specific interest rate and pays that rate for the life of the loan unless you decide to refinance. We offer financing for people who want to purchase a property for vacations, rental, or some combination of the two. Investors have different goals, and it’s a good idea to talk with your tax advisor about how you plan to use the property. Deciding whether it’s better to buy a second home or an investment property often depends on where the property is located and what you intend to do with it. And once you decide, we can help. Loans designed specifically for American Indian and Alaska Native families, tribes, Alaska Villages, or tribally designated housing entities. The Section 184 Indian Home Loan Guarantee Program offers loan options for the purchase or refinancing of an existing home where qualifying borrowers pay a 1.5% loan guarantee fee at closing (which may be financed in the mortgage or paid in cash). If leasing tribal land, the borrower works with the tribe and the Bureau of Indian Affairs to obtain an approved 50-year lease. Use this mortgage calculator to determine your monthly payment and generate an estimated amortization schedule. Take the mystery out of buying your next home by following these steps. Refinancing your home or vehicle loan can lead to a lower monthly payment, a shorter payment term or both! Is the timing right for you? 4 things to consider when deciding whether to buy a home. When I wanted to buy a house in Haines, my credit union at the time said no, they wouldn't take a chance on me. A friend in real estate suggested someone in the Alaska USA Mortgage Company Juneau office, and the rest is history. Alaska USA said yes and helped me work through the process. I became a homeowner for the first time at age 63. Having my own place is truly satisfying and stabilizing for me. I couldn't have done this without Alaska USA and would highly recommend all the different services Alaska USA has to offer. Jason did a great job! I think we closed faster than expected. I would recommend AK USA and Jason to my friends and family in the future without a doubt. Awarded for the third consecutive year by the readers of the Mat-Su Frontiersman. Mortgage Loan Originator Steven Kihn was awarded for his proven track record of hard work and dedicated service to the home building industry.